Spend election night with Mick and Ben at the Hideout! Come to our election-night cabaret at the Hideout, featuring Alderman Will Burns, state rep Kelly Cassidy, and Matt Farmer, the singing lawyer with the big hit about Bruce Rauner. 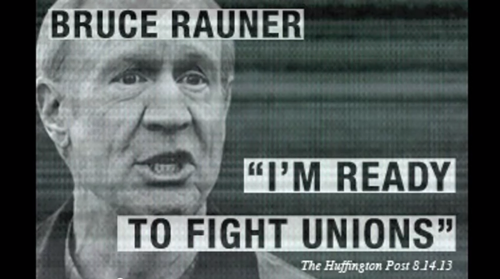 Did the Sun-Times undermine itself by endorsing Bruce Rauner? As a sidelined reporter hires an attorney, the Sun-Times endorses a former investor for governor.